Iron Maiden's New Album On The Upcoming Year ! 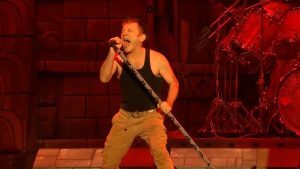 Iron Maiden’s New Album On The Upcoming Year ! 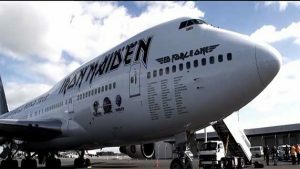 Most probably according to some sources that would be a Follow-Up album of their latest album Book of Souls rumors were in the air that Iron Maiden gonna retire after that album. Read More: Alcohol & Heavy Metalz!! Read More: The legacy of the legendary Bruce Dickinson!! 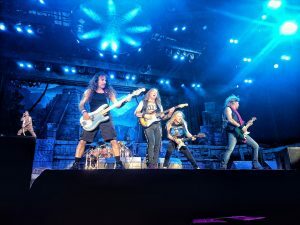 Prowler, Hollowed By the name, Iron Maiden, Phantom of the Opera, Charlotte the Harlot, Prodigal Son along with the band leader Steve Harris!! But Stevie just kicked on his face smartly!! And just like the example of how sharp their memories are and how they honored their history of legacy Bruce Dickinson the Front men of the bands is one of the identifiers of the grave of another great English legend William Blake!! DAMN!! Read More: Rocking comic of Iron Maiden! BRUCE DICKINSON, a MEGA ROCKSTAR with simplest attitude!! Iron Maiden | Their Upcoming Comic LEGACY OF THE BEAST! !